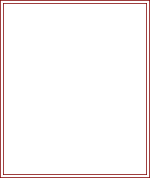 sl st to first sc. Turn. Fasten off. Next Row - Join in contrast color, ch1, 2sc in base of ch1, 1sc in each sc around all four sides of scarf to end, working 3sc in corners, sl st to first sc. Fasten off. Using main color yarn work one more row of 1sc in each sc, working 3sc in corners, sl st to first sc. Heart Motif x 6 - With contrast color yarn make a magic circle, using 4.00mm hook work ch4, (4trc, 4dc, ch1, 1trc, ch1, 4dc, 4trc, ch4, 1sl st) in circle. Pull end of yarn to close circle. Turn. 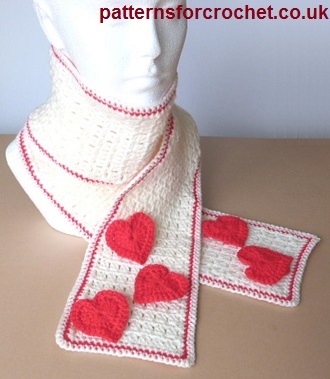 Hope you enjoy this free crochet pattern for valentine heart scarf.